Nothing is easy. Everything is complicated. And confused. In today's lesson, we will discuss renewing your driver's license, and how to drive a person to ultimate frustration. 1) I've had a license for 10 years here. 2) It was time for it to be renewed. 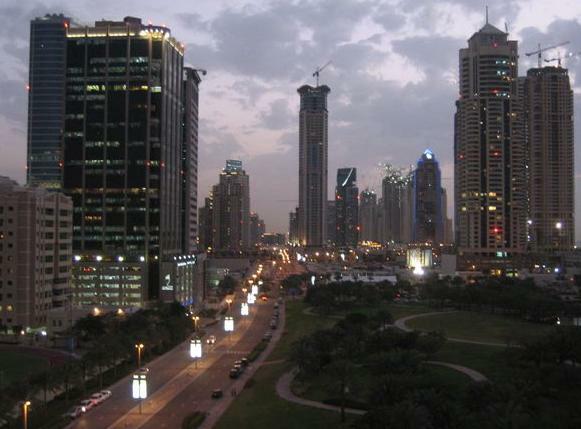 4) I now live in Dubai (and my residence visa is issued there too). I head to Abu Dhabi Muroor last week. This is where they inform me that they will complete the renewal procedure in Abu Dhabi but that I'll have to pick up my license in Dubai because that's where my visa is. Fair enough. So I do the eye test (20 dhs), pay for the renewal of my license (110 dhs) and get my picture taken, and they give me a bunch of papers and tell me to head to the last counter. I go to the last counter and show them my papers and they hand me a driver's license (!!!). Slightly confused but not really thinking much about it, I head out of Muroor and get into the car. As we were about to hit the road, I get a call. From Muroor. Asking me to hand the license back because I need to get my license from Dubai. OK fine, so I go back up the 100 steps of the Muroor building, hand over my short-lived license, and get a letter confirming the file transfer to Dubai. Back in Dubai. I call RTA to find out where I can pick my license up. The man on the phone (sounding like he knows what he's talking about) tells me I need to go to Deira to get it. I get annoyed because the last time I went to Deira was probably 3 years ago...or something like that!. Not satisfied with my answer, I call Tasjeel in Barsha to see if I can pick it up there. They say no but give me the number of the Bur Dubai Police station (which is located in Barsha right next to Tasjeel...go figure!). I call them and some woman says she has no idea but to call the RTA (she gives me another number). I call that number over and over again, but no one answers. I call Bur Dubai station again and the same woman picks up. When I complain that no one's answering, she says "well you know it's Ramadan, and we have Ramadan hours". I ask her what the Ramadan hours were and she says "9AM-2PM" (anyone know how I can get myself a 9-2 job? Please?). Mind you, it was 12PM when I called. Anyway, I finally reach someone the next day who says that I can get my license at the Bur Dubai police station (in Barsha) which is a relief cause I actually know how to get there. Me: "No no you don't understand, I already did all that and gave the documents to Muroor in Abu Dhabi...I just need to pick up my license"
Her: "No I'm sorry you need to do the whole procedure all over again"
Me: "But this letter here confirms the transfer...I do not have a no objection letter anymore because I gave the only copy I had to Abu Dhabi Muroor"
Me: "Can I speak to a supervisor"
So I speak to a supervisor who confirms that "There is a misunderstanding between Abu Dhabi Muroor and Dubai Licensing Department...there is not transfer of files that actually takes place. You need to do the whole procedure all over again"
Me: "But this is ridiculous, I already paid and did the eye test..."
My father called Abu Dhabi Muroor to ask them to clarify, but of course, no ones there could give him an answer because they were simply clueless. MORAL OF THE STORY: IN ORDER TO SAVE YOUR SANITY, AVOID DEALING WITH GOVERNMENT DEPARTMENTS AT ALL COSTS! Oh, and I am sooooooo looking forward to renewing my car registration next month! Phew...That was a rant and a half!!! I feel much better now. Thank you for reading.